A deep, reliable stable of cornerbacks? Indiana simply didn’t have it. But as the Hoosiers have stabilized their defense across the past two seasons, going from one of the least effective secondaries in the nation to a group capable of challenging Big Ten offenses, Indiana has enjoyed renewed depth at corner. An injection of speed and athleticism from the freshman class, coupled with a new strength and conditioning regime for the returnees, has helped Indiana develop its cornerback position into one of the possible strengths of its defense. And as fall camp unfolds, position coach Brandon Shelby sees the deepest group he’s worked with during his tenure in Bloomington. A big reason is speed. That’s particularly the case in the younger classes, especially when considering that incoming freshman Jaylin Williams is the fastest player on the team. At least, depending on who you ask. Williams and sophomore slot receiver Whop Philyor are the only two players on the roster who have broken the 23 mile-per-hour threshold during speed testing workouts. That’s elite speed at any level, college or professional, and now IU has it where it has needed it most — the secondary. While Williams brings the speed and quickness IU has long needed at corner, Taylor brings the athleticism. Last year’s Indiana Mr. Football winner will begin his college playing days at corner, while also making occasional cameos on offense and special teams. This fall marks the first time Taylor, a Class 6A state champion quarterback at Ben Davis, will be playing on defense, and he’s already one of the best athletes on the field. Now, Shelby’s fall camp curriculum for the youngster is focused on teaching the technical concepts that will only enhance his physical gifts. “A lot of times, they’re so athletic that they can get away with stuff in high school that you can’t get away with here,” Shelby said. “So it’s getting their eyes where they’re supposed to be. Same thing with Reese. Players such as Williams and Taylor will back up an increasingly reliable starting core, led by juniors A’Shon Riggins and Andre Brown and sophomore Raheem Layne. Injuries limited Riggins to only six games last season, but he’s been healthy since the spring. The 6-foot corner is looking to fully capitalize on a strong freshman campaign that saw him emerge as a nice complement to former All-Big Ten corner Rashard Fant and bolster a unit that needed help. Both Riggins and Brown are athletic veterans, while Layne is coming off a freshman campaign that saw him earn IU’s Defensive Newcomer of the Year award. Altogether, Indiana should enjoy a strong secondary again this season. With sophomore Marcelino Ball returning to the hybrid-safety spot and Jonathan Crawford entering his fourth season as a starting safety, Indiana already boasts two of the better back-end defenders in the Big Ten. With a deeper, faster and more athletic group of corners complementing them, IU appears prepared to continue its transformation into one of the league’s better pass defenses. I am glad to hear of the increasing speed of the players, but I keep wondering, how does this speed compare to other B1G teams? I know what a difference team speed can make, but if all IU is doing is catching up with the others, there is still a problem if not combined with size, strength and other elements. I see your point of you mentioning that there is “still a problem” even though the speed has improved and back in May I would have agreed. However, what Ballou and Rhea have done, there is no speed or strength problem now, across the board. Since Ballou has been there, the # of players that can bench 400+ pounds has quadrupled and players squating 500+ pounds has gone up by 5X. Also, before Ballou and Rhea arrived, 3 players ran faster than 21 mph, now there are 30 and 17 run faster than 22 mph. Granted, you need to consider technique and fundamentals, but teams will no longer be able to bully IU at the point of attack, nor burn DB’s in their deep routes. The physical improvement in 5 months has been out-of-this-world and IU now has weight room & speed numbers comparable to the best in the conference. I remember watching back up DBs come in and not have the speed or ability to cover receivers. It is good to hear IU is now three deep with little or no drop off. The freshmen are getting rave reviews as they have speed, size, and hitting ability. Dr Rhea has stats on speed around the country and says 22 mph is elite speed with 23 mph being NFL speed. At the end of Spring IU had gone from two players at 22 mph to 16 players at 22 mph. We will see once the season starts how well IU’s speed measures up but the numbers indicate they will be up there with the faster players in the league. The point I’m trying to assess is how the new S&C program combined with increased speed compares to the rest of the B1G. I know what a team speed advantage can do on the field in good weather conditions. If IUFB is close to the rest of the B1G, that means one thing. If they are trending faster, that means something entirely different if utilized effectively. It did concern me that in what I read, neither Griffith or DiNardo mentioned the S&C and it’s effect. I do however consider the source when it comes to those two, but it does make me wonder. I have seen it played out on the field many times where sheer speed neutralized other advantages an opponent might possess, especially in good weather. If folks in B1G country want to understand the SEC dominance these many years, team speed is the first place to start. I know B1G teams have been trying to close the gap, but the SEC teams have now been able to combine the size and strength advantages once the domain of B1G teams with team speed. Maybe they take “speed” in the SEC…? Maybe there is less enforcement with PED’s in the SEC…? I applaud Indiana for attempting to get up to speed, hopefully, without the abuses that are likely happening everywhere in high school, college, and pro sports. We’ve seen how untouchable elite programs providing big dollars to their respective conferences/schools have become. What looks to be huge scandals erupting are no sooner vanishing; suddenly dissipating into thin air. Why would we not think many of the participants at these “elite” Southern schools aren’t getting away with abuses in performance enhancing drugs? Is it the academic reputations which are funding most of the big dollars and big donations in the SEC or is it football? The NCAA has a ‘speedy’ way of using the low fruit for their grandest examples. The SEC might as well stand for South ‘Establishment’ Conference. Cash to recruits….corrupt agents making shoe deals to get recruits to certain programs…hookers for recruits….ghost classes….abusive coaches being protected? We’ve had every scandal under the sun. I wonder when the PED scandal will hit unveiling just how prevalent the use of unnatural means and harmful substances placed into the body to gain real advantages in strength, size and speed. What tiny inconsequential program will go down? Some SEC schools attempted in 2013 to institute a conference-wide policy during its summer meeting, but it went nowhere. An SEC athletic director said recently there is “no love” for the policy. There is also no love among schools to talk about PEDs and their drug testing policies. thinker, you have the issue squarely framed. Indeed there are no secrets in football, so we must assume that the rest of the conf. is using similar wunder-tactics re: strength and speed. But assuming there is an upper limit to human performance (a pretty safe assumption, I think), all squads will eventually bump up against that ceiling and as long as IUFB is bumping along with them, then IUFB will have negated an advantage the rest of the conf. has histirically exploited against the Hoosiers- and that will be a very good thing! I take Shelby’s evaluation about depth, talent and speed with assurance he is coaching higher level performers than ever before at IU. In another interview safeties Coach Teegardin expressed similar remarks about his charges. IU DB’s have been gaining for 4-5 years. These 2 coaches are both attesting this year there is a bigger step advancing. A few years ago at an IU football game and while watching on tv one glaring thing that stood out to me was how slow the defensive line was. They simply were so slow they were a couple of steps behind many plays and could not catch up to anything. I think improvement has been made in that area under K.W. and noticeably more since T.A. That’s exactly what I am wondering. I give Wilson credit for starting this move and TA credit for capitalizing on it, especially with what we all hope was a S&C quantum leap. Your example of the line play was what I was thinking and have seen. I have seen lines which can get to the point of attack much faster literally knock larger and stronger lines all over the field. The biggest thing I have seen if there is an overall team speed advantage a lighter faster line does not have to hold as long in order to advance. They can seemingly, if need be, flank the larger stronger objects at will. Very similar to well documented military strategies on the field of battle. The questions we all have about the speed increases IU players are showing and how it will translate against B1G teams. I would say that IU was slower than other teams but it didn’t show up in a big way. With major increases in speed I have to think we will see it help the Hoosiers tremendously against B1G teams. The reality is we will have to wait and see how the team looks against the B1G teams as the season goes along. I think how well the S&C upgrade stacks up against the competition is the question we all want answered. I don’t expect it to make IUFB world beaters, but if it generates enough wins to be considered the next step that’s good. Consistently getting to the 6-8 wins per season milestone would be a major step forward for IUFB. It would establish a foundation to build on for hopefully a future step higher. There is more to “speed” than meets the eye…Merely saying many of our players can run 22 mph doesn’t necessarily mean a hell of a lot. How fast is your initial first step? How are the levels of instinctive speed often seen in areas of anticipation and reaction(part of field vision and understanding what’s developing in a play)? Change of speed? Can you control your body and change direction or stop on the dime when a running back or receiver makes a quick cut? Have you developed excellent ‘varying speed’ abilities? Lateral speed? Mental speed? A lion can catch some of the fastest animals on the planet not only because of their raw speed and power …but their ability to anticipate, cut, change direction, accelerate quickly, etc. etc. It’s not just about running 22 mph. You can put a Porsche engine into a Chevy and go fast…but it ain’t gonna be a Porsche. I had a VW bug convertible with a Porsche. You are right. Maybe the BigTen is full of muscle cars and a couple V-Dubs/restoration jobs and the SEC has multiple Porsches and BMW roadsters? OSU is a Dodge Challenger SRT Demon….? Michigan is a Camaro? Purdue is a Ford Mustang GT? Wisconsin is a Chrysler 300? 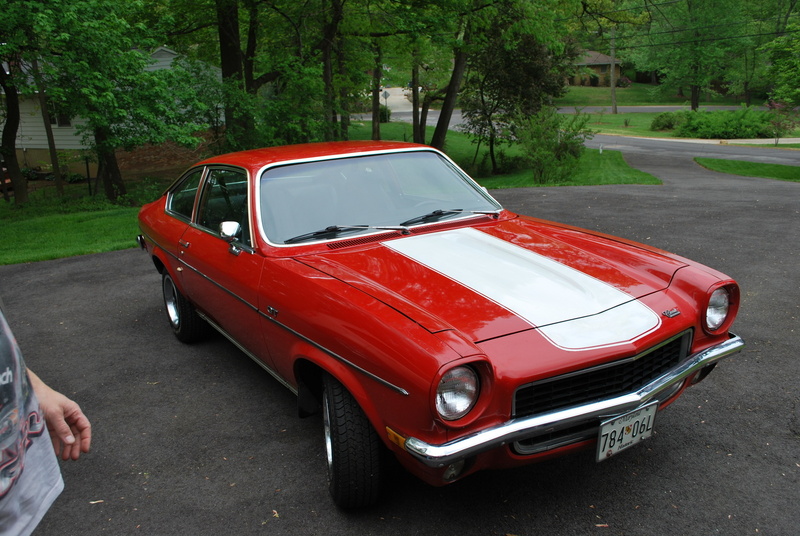 IU is a 1977 restored Chevy Vega…? H4H, many of the speed drills being used along with the single leg lifts are designed to develop quick cutting ability and agility. Our S&C staff are gearing everything to skills needed on the football field which is something I really like. Too many S&C coaches focus on pure strength increases and ignore football skills that could be enhanced with changes in the weight program. We won’t know how well the changes being made by the S&C staff will work on the field until we see the team in several games this year. v13- I was picking that up from Brandon Shelby’s comments. Was impressed with how he took the topic of speed to much deeper levels..while including getting the “eyes” looking the right places. Multi-directional speed and anticipation appear to be big priorities….Good to know and hear the coach diving into the many aspects of developing speed at various positions. Timeout: My cat just nailed another moth trying to get in from the back porch. Bugs…moths..flies…? None stand a chance. Reaction time is incredible. Paw-eye coordination out of this world. Pure instincts to play the flying critter catching game. I’m now beginning to feel a bit sorry for the bugs…but what a tackler! Only problem? When the bees come into the house. I never appreciated speed until I owned a cat….If we could get guys to anticipate, react, and have the initial burst of speed present in ‘cat-like quickness’….? Study cats…Their eyes are always surveying…Their heads on a swivel…always looking for predators or something to pounce(a bug..a bird…a moth) on their own. And the ability to change direction, stay low, accelerate, leap, stop…is something to marvel. If your defense could play the game with all the anticipation and directional pursuit of a cat, you could rule any conference….Study nature rather than other teams. Maybe even study their muscular structures. Study their DNA….Inject some…or clone slices of their genetic code into humans to build the athletes of the future. Eat more tuna and salmon? Hate Dawgs? Given that some of that depth in the secondary is due to Reese Taylor, I still wonder if playing him mostly on defense and special teams is the right thing to do? I worry that T.A., being a defensive coach, and seeing how great an athlete Taylor is, might be ignoring Taylor’s potential at quarterback. One has to assume that it is easier to recruit quality defensive backs than it is to recruit quarterbacks with Taylor’s level of talent. I know Ramsey, Penix and Dawkins are quality QBs, but I doubt any of them were as productive/successful at QB as Taylor was in High School. I keep reading (in the Indy Star) how smart Taylor is, how fast he learns, about his speed and quickness, and how versatile he is. And I’m just wondering if T.A. is at risk of passing over the second coming of Antwon Randle El. I worry that the “height bias” may cause IU’s coaching staff to overlook (no pun intended) it’s best offensive weapon. Go back and look at Taylor’s High School stats. Go back and watch his HS highlights, and then tell me he’s too short to play QB in college. I’m not saying he should be IU’s starting QB this season, but I wonder if his talent as a QB should be getting developed for the future? One way or the other, I’m glad Taylor is a Hoosier. Working on the assumption that RT is the athlete we all project him to be, he could possibly play at the next level at his height. Since he can’t even get into the mix at IU he most certainly would be an extreme long shot to do the same at quarterback even if he set the world on fire. Randle El was amazing and was drafted as a receiver. Remember when the Hoosiers tried to do that his last year? He was just too valuable as a playmaker. Maybe RT made the informed choice to switch to defense and get ahead of all this on his own terms. Who was the other guy who was going to set the world on fire…? Patrick? The next Michael Jordan…The next Randle El…The next Tiger Woods. There are no “nexts”….There are only imaginative comparisons and hype of new characters in the play to bring the paying customer back to the theater. I wish they would just allow superstars to keep their names wholly to themselves. Since R.T. committed to IU I have always believed he would be lurking in background as Q.B. This is could be due to dents, dings and hopefully not injury. Plus the bog down in offense and his talent level. R.T. is a good passer if line can keep him clean. He seems to say and demonstrate all the right tools and ability. R.T. seems to be a coach’s player. He went to an excellent place for him. Though T.A. did not coach him in high school there still is that Ben Davis connection with T.A. and R.T. I know it was HS, but it was high level HS, and R.T.’s feet, quickness and escapability were just amazing. He’s also an accurate passer even though I never witnessed him throwing a pass longer than 40 yards. He had numerous big runs that began when his O-line’s blocking broke down. And once in the open field, he was impossible to catch. It was like watching Antwon Randle El all over again. Just makes me wonder. 1. I think R.T. is a better passer than Randle El. 2. R.T. is a better athlete than Doug Flutie. 3. The only reason R.T. is not 5 star is because of his size at qb. However, R.T. is high 3 star per espn, the same as Penix per espn. There will be a huge temptation to play R.T. on offense, punt and kickoff returns. I hope they limit his touches this year. From what I saw in the HS playoffs, he’s not physically developed enough yet to play significant downs. You have to think of the kid’s health and safety first. That said, he has a chance to be a great college player. His quickness and elusiveness are off the charts. He’s the real deal. He’s also probably a more accurate qb right now than Dawkins who probably will start. 123, a big reason Dawkins had less-than-ideal passing stats while at Arizona was due to RichRod’s policy requiring both the QB and the receivers to make the same read on defensive pass-coverages for every play. AZ did not use predetermine pass routes. I just read an article about this very subject. Apparently, AZ’s new coach, Kevin Sumlin came in and immediately reversed Rich Rod’s policy. Sumlin commented that (I’m paraphrasing) “that system can work when you have both experienced quarterbacks and wide receivers that have a lot of experience playing together, but it takes a long time to learn and results in more incompletions and INTs when a team has inexperienced QBs and/or receivers.” Sumlin is not willing to burden Khalil Tate with that responsibility. The article went on to say that many of Dawkins’ incomplete passes over the last two seasons resulted from his young receivers making incorrect reads, resulting in incompletions and/or INTs. If you’ve ever watched Rich Rod on the side lines, you’d see him go ballistic at times. That was often a reaction to his receivers making the wrong read, breaking off a route that they should have continued, turning the wrong way or running in the wrong direction, resulting in a pass that got thrown to an empty space. Bottom line is that Sumlin thinks that policy is far too complicated for inexperienced QBs and receivers, so he has scrapped it, and now requires his receivers to run pre-determined pass routes regardless of what coverage the defensive backs are playing. Instead of two players being responsible for reading the pass coverage same way, now only the QB must read the defense. Sumlin believes this will reduce INTs and make AZ’s new offense more efficient. Po- I’m just going off what I saw when I YouTude’d a couple of his games. The plays that stood out were simple pitch-and-catch throws that Dawkins would put on the receiver’s shoe laces or 6″ over their head. He made some nice throws too. I’d say a comparison would be Tre Roberson. They are talking about Dawkins “shaking off the rust” right now and I’d bet that’s in reference to missing receivers. Sounds like the most talented qb is Penix but he’s a true freshman, Ramsey has great intangibles but a low ceiling and Dawkins can extend drives with his legs but will force some punts with his arm. I’d split the starts- give easy wins to Penix for the experience, put in a game manager like Ramsey for the matchup games where fewest mistakes wins and put in Dawkins for the OSU’s of the world and see if he can run his way to an upset or 2. Pretty sure that is not what will happen. There are no “easy wins” for IU, ever! Well, last year’s victory over Charleston Southern was a pretty easy win. 1. IU’s O-line will be better, but still not a dominant Big O-line. 2. IU’s running backs will be more productive, but won’t be good enough to carry the offense against Big defenses. 3. IU’s defense, while still good, is probably not going to be as good as last year’s defense, so IU’s offense is going to have to pick up the slack and score a lot of points. 4. IU’s receivers, if they stay healthy, are too good to waste on a game-managing quarterback. IU has to turn those talented receivers loose and stretch the field. They have speed, height and experience, and should be IU’s best weapon throughout the 2018 season. Equals trying to win 4 or 5 and get better for next year. Traditionally speaking, like an IU football historian. Actually, all the comments pretty much speak of the past. Suppose as usual looking for a little excitement. To me, per coaches AP poll early surprise of season…Purdue does not receive 1 vote for top 25. Not saying they should be in top 25 but I would think they would get a vote or 2. 123, you make some good points but I doubt IU goes with a committee of QBs unless necessary. If Penix is close to the other two QBs I would go with him early on and see if he can handle the pressure. If he isn’t close enough to challenge the other two then redshirt him. If Dawkins is going to have a higher ceiling this year than Ramsey then Dawkins needs to start and develop as a passer while still using his legs to break things open. I have no idea what direction IU will take but do believe their early plan was to have Dawkins become the starter but wanting him to earn it in practice. Teams that have made a breakthrough in the B1G have had a playmaker at RB or QB. If IU is to have that breakthrough then Dawkins or Ramsey need to be playmakers with their leg or arm. If Penix is the starter then IU’s future starts a year early. Po and V- I think you guys are discounting that Penix might be the best quarterback right now. He is a good runner, has the best arm and is very poised. Ramsey has great leadership qualities. He can run, he can’t win a game with his legs and although he’s accurate, he doesn’t have the arm strength to stretch the field. Dawkins is probably the best runner but his accuracy is questionable. Penix may give the best chance to win now and in the future. Plus quarterback injuries and IU football just go together. Having them all platoon gives more flexibility when a injury does occur and keeps opponents guessing. Let Penix start Ball State, FIU and Rutgers. Then he’s still available down the road for a game if necessary and still gets to redshirt.